On December 21, 2017, Melco Resorts and Entertainment Limited announced the replacement of Crown Towers Hotels at City of Dreams with NÜWA. The rebrand makes its first accolade with the 5-star recognition from Forbes Travel Guide. 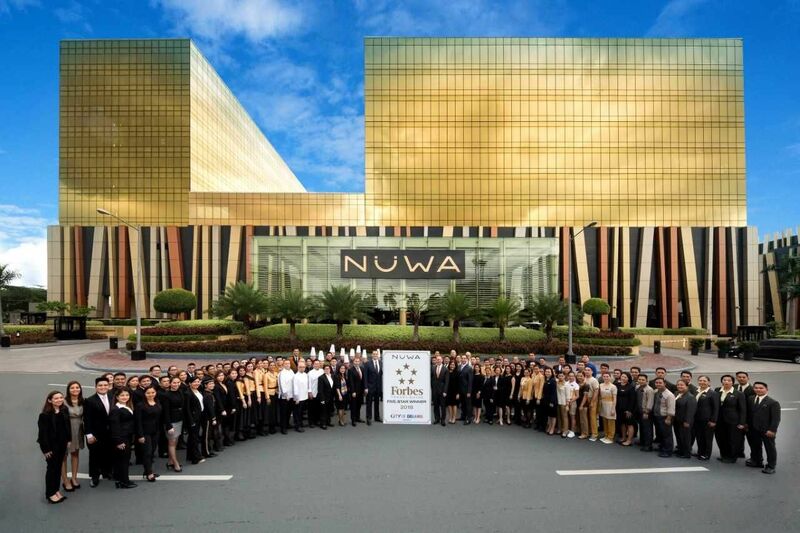 “NÜWA represents Melco’s DNA of sophistication, quality, and innovation. Being one of the select hotels in the world that’s awarded the Forbes Five-Star is a testament to our dedication to provide the highest level of luxury experience and personalized service”, adds Geoff Andres, until recently the Property President of City of Dreams Manila prior to assuming the same position in Studio City Macau early this month. NÜWA, one of the three luxury hotels in City of Dreams Manila, features 254 lavishly-appointed contemporary rooms, and spacious suites and villas with personalized and dedicated butler service. Facilities include a free-form swimming pool, fitness center with state-of-the-art Precore fitness equipment; and the NÜWA spa which provides a pampering experience in elegant therapy rooms and spa suites within the 654-sq.meter facility. An elevated dining experience is also available at NÜWA, with: The Tasting Room, the newly reopened restaurant offering a Michelin-star experience with contemporary French cuisine infused with Asian influences; Crystal Dragon, known for its premium Cantonese and regional Chinese fare in a modern Oriental setting; and Breezes, a poolside restaurant and bar. The Sky Gaming Lounge, a well-appointed private space on the topmost floor is exclusively for Li Ying Hin VIPs.